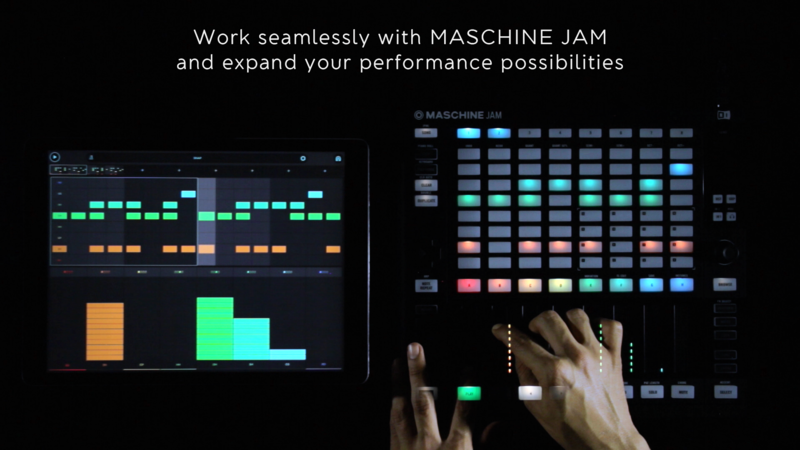 Take the first step towards a whole new dimension of control for your drums. With our new 'Motion Control' you can change patterns on the fly, perfectly in sync using your phone. By applying machine learning to your smartphone’s sensors, we are able to detect four different gestures (circle, infinity, punch and shake) to trigger the snaphots of your sessions. You can also send the gestures using your iPhone, to control a remote instance of SNAP running on an iPad if connected to the same wireless network for an interactive, multi-device musical performance. Program or load drum patterns, store your favorite variations, and export them to your DAW, all on a continuous and free-flowing loop. 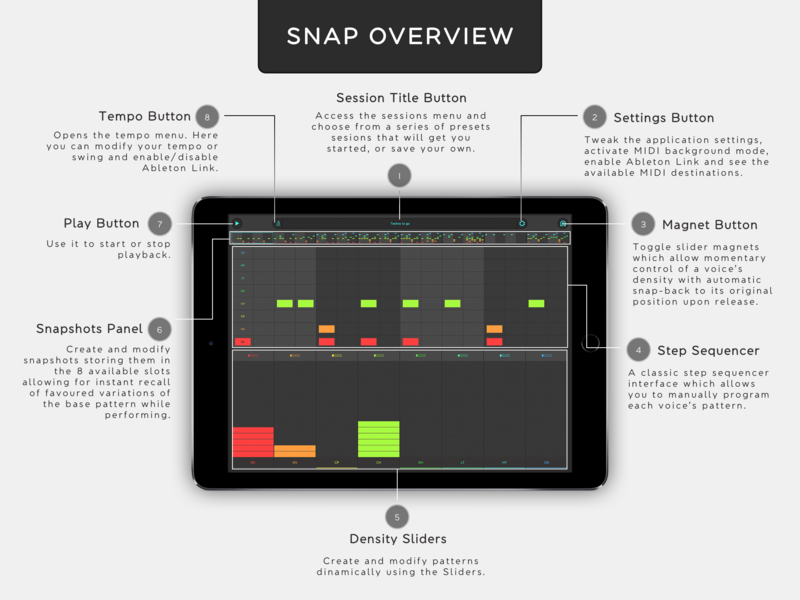 SNAP is a powerful tool for your live sessions, providing you flexibility to perform subtle or radical changes, from sudden drops to ecstatic crescendos, all while maintaining the original groove. 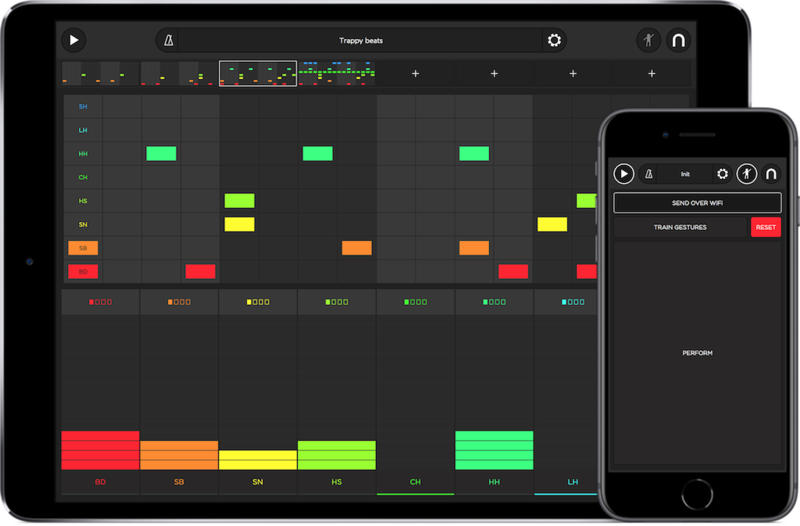 SNAP can communicate with your music apps, drum machines, DAWs and other musical equipment via MIDI OUT and provides tempo and phase synchronization via Ableton Link. Connect your device to an external MIDI interface and control MIDI Hardware.